Resume Writing & LinkedIn SEO - "Flip-the-System" (FTS)! | Lance Wills - Growth Consultant. Author. Maker. Dramatically Multiply Your Profile Views by Recruiters in 90-days and Attract your Dream Job with Advanced Resume and LinkedIn Profile Optimization Techniques for Job Seeking Professionals. Turn on Your Job Search Lead Gen Engine! 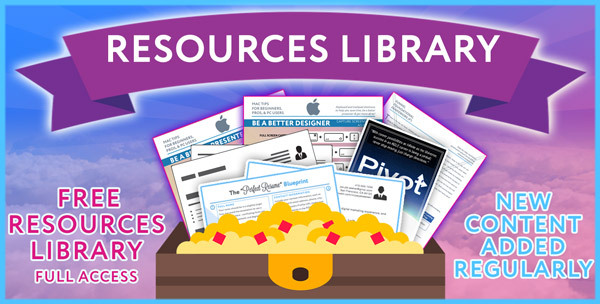 Put These Resources To Work For You! If you’ve ever searched for a job, or submitted your resume to online applications, then you know how frustrating (and belittling) it can be to go through the standard job search process. Despite your best efforts, you seem to struggle even getting recruiters to respond to you...while others get contacted by recruiter after recruiter and interview after interview, with seemingly little effort. You watch other people increase their salary, title, and influence with each new job every few years, and you wonder why that doesn't happen to you. Not to mention, you’ve got broad and deep experience you know employers need and are searching for...if only you could just get in front of recruiters to begin with. Yeah, I get it. And I’ve been there. Now, I get recruiters contacting me whenever I turn on my job search engine. ...You finally hit the coveted “1,000 Appearance in Searches over 90-days” benchmark and felt confident your resume was "dialed in." ...You no longer felt like your resume was getting filtered out by those pesky "bots" in the Applicant Tracking System (ATS) software that all employers use that send your resume to the candidate "black hole"...now you have recruiters actually pursuing and initiating contact with YOU! ...You had a fully optimized "Professional Resume" that those expensive resume consultants would create for you that hit on all the points that recruiters and hiring managers look for. Yes, you can get multiple recruiters pursuing you every day for your target roles in the next 90 days with a clear resume and LinkedIn profile optimization system. * Your results may vary depending on your geo, market, discipline, and experience. Above results may not be typical. Over the past seven years, I’ve discovered just how POWERFUL resume & LinkedIn profile optimization can be. Let me share a little case study of how the tactics in this course affected my own title and income. After working in SEO (Search Engine Optimization) for a while, I realized that I needed to integrate the same skills into my job search. I conducted deep research and surfaced my target Keywords and experimented with integrating them into various areas of my LinkedIn Profile. My resting 90-day Profile views started at 100 and then started to grow; 150, 200, 250, 300, 350, 400 and more. As I gained more and more visibility on LinkedIn, I also reaped higher quality inquiries from Recruiters. Over my next few positions, I made the connection that as my appearance in searches and profile views grew, so did my income! Not only that, but I was growing my network of valuable contacts -- one I could passively build my Personal Brand with, who were excited about the content I created essentially pre-qualifying myself for future roles. And even though I’m in one of the most saturated niches of marketing, and I had little ostensible training in this area, I was able to attract lucrative Marketing leadership positions and (passively) attracted and secured my dream job in just a few months by doing two key things: 1.) increasing my Profile Views, and 2.) aligning my past successes with the requirements of my target job. Here are a couple drop-dead simple reasons why optimizing your resume and LinkedIn profile should be your top priority NOW: Time & Money! 1. There’s a simple formula that says: the more profile views and recruiter inquiries you get, the more likely you are to get a new job. And as you know, upgrading your job is the easiest way to multiply your salary. It’s basically the easiest math equation on the planet, and trust me, it works (And how exciting to know that with the right resume & LinkedIn profile optimization strategies, you could be on your way to a 15%, 20% or even 30% increase in your salary too! Wouldn't that be nice?). 2. You may not be searching for a job now...but eventually, you will. Straight up, in today's age, you will probably change jobs every 3, 5 or 7 years if you want to maximize your career growth (Millennials in San Francisco change jobs every 1-2 years early in their career!). It can take up to 6 months to ramp up your job search (i.e. decide on role, improve resume, start applying, phone screens, on-site interviews, negotiating, & accepting an offer. Whew!) 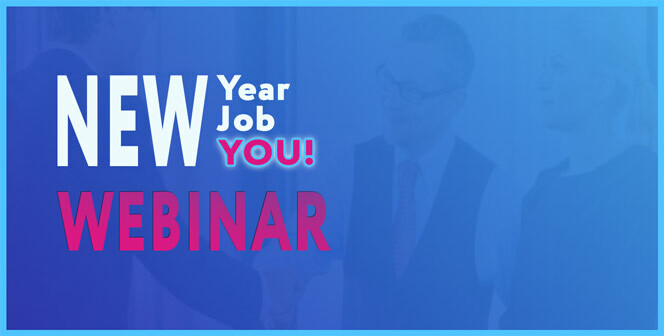 Why wait when you can spin up your job search at will by following this course. It always takes longer than you expect when you want to jump ship and get a new job. Don't wait to start your job search from scratch every time! But with all of your job search "infrastructure" in place you control EVERYTHING! This infrastructure can include your optimized Profile/Resume, network, and understanding of what the market is searching for and how you fit (this is the "Product-Market" fit equation, which you'll also learn about in this course). Simply flip the switch when you are ready, and watch the job inquiries start rolling in, or enjoy the luxury of being a "passive job seeker" and review great opportunities in your inbox at your convenience that could inspire you to make a move sooner. No, there isn’t a “magic pill” you can take that will give you a fully optimized Resume/Profile overnight. But making this happen is easier than you’d think when following this step-by-step video course and literally ANYONE can do it. I created "Flip-the-System" to share the EXACT principles and strategies I used to exponentially grow my appearance in searches and get my target position in a matter of months so that I could finally have the high-paying, dream position that I’d always wanted. I haven’t always been a resume/profile optimization ninja. In fact, just a few years ago I didn’t even have an optimized Resume. And when I finally made one, it took me over a year to realize that this was not a "one and done" exercise, and I felt completely stuck. I’d tried other Resume building strategies -- outdated tactics I found on Google -- and felt like I was wasting my time on methods that didn’t work. That is until I decided to experiment for myself. And quickly, things changed. Just a few months after putting effort into my LinkedIn profile, I started to notice an increase in my "Appearance in Searches". And within a few months, I had DOUBLED my salary in my new job. Then, in my next position, I increased my annual salary by another 17%. And in my subsequent role, I secured my dream position as Head of Marketing at a tech startup...and it’s all because I figured out how to continually optimize my profile and engage on LinkedIn in ways that the platform deemed valuable to the entire community. Flip-the-System combines the most powerful Resume optimization strategies with heaps of tactical tutorials to give you a fool-proof Resume optimization SYSTEM that will help you rapidly attract more opportunities and grow your income. 1. The new basics of job seeking and Resume optimization that will give you a SOLID foundation for future growth (even if you're a total beginner!). 2. How to create your job search funnel to create a hyper-efficient job search. 3. The SEO fundamentals you need to know BEFORE beginning your job search and why it's important. 4. The job listing sites you absolutely need to know specific to the job your targeting. 5. How and where to find the KEYWORDS that your Recruiters are searching for. 6. The three elements you need in your Tagline that will almost guarantee that Recruiters will click in to view your Profile (I've received numerous interviews and compliments from Recruiters on this, you won't want to miss it!). 7. The guidelines for including a photo that could that could make or break your job search. Ignore this and you won't have a chance. 8. How to craft your Professional Summary to guarantee that Recruiters will keep reading deeper into your Resume. You only have 6 seconds, learn how to make'em count! 9. How to chronicle your work history in a compelling way that articulates a clear career arc and separates you from the competition. Your Resume tells a story, so it had better make sense! 10. How to compile a "Professional Resume" from each of the sections we've already detailed resulting in a Resume that a consultant would charge you $1,500+ for. 11. Creative and new ways to best represent your skills, tools, and verticals to increase your appearance in Recruiter's searches. 12. This simple trick that highlights your accomplishments and gets extra mileage out of them to appear in even more Recruiter searches (most people aren't doing this and it's costing them!). 13. Why or why not to endorse your peers for specialty skills. 14. How and where to broadcast your expertise and reinforce your Personal Brand as an expert in your space. 15. Why recommendations are important and how to easily get your peers to write recommendations for you. 16. The right way to get recommendations and what you need to do to ensure your recommendations help and don't hurt your job search. 18. How to further reinforce your expertise using Groups, Influencers, and following Companies. 19. How to achieve 100% Profile Strength and why it's mandatory to maximize your performance on LinkedIn. 20. The minimum number of Connections that you must have now, and what your long-term goal should be. 21. The proven strategy for making connections the right way. Any other way and it could be working against your job search goals. 22. What Key Performance Indicators (KPIs) you need to measure to track the performance of your job search initiatives. 23. How LinkedIn is trying to replace your blog as a content medium and whether it performs as well from an SEO standpoint, and much, Much, MUCH MORE! Wow! This is a comprehensive guide that covers Career Planning strategy, and real-world tactics. While I bought this book for LinkedIn profile optimization (which is AWESOME! ), it delivers career development planning that I hadn't thought about. Not sure if I'll implement all the social media marketing tips (I don't Facebook), but it's a resource I'll revisit anytime I consider a job change. Great, comprehensive guide. More than I expected. Awesome ebook! LinkedIn Gold helped me increase my profile views by 150% and connected me with three recruiter/hiring manager interviews per week. I attribute Flip-the-System to getting my new job at the second largest IT firm in the world. The recruiter found me on LinkedIn. Go for it! Best guide out there to help you get the most out of LinkedIn. Great step-by-step guide to helping you get your name in front of recruiters. I like how it offered practical guidance to enhance my LinkedIn profile while helping me put into words what I want to do with my life & career. I highly recommend it for anyone who uses LinkedIn, especially those of you who are looking for a job. At first, I was skeptical - I use LinkedIn in already and it seems to be working fine but this course is incredibly helpful and thorough about all the little things you can do to make a BIG difference in finding your next job or career. Highly recommend!!! 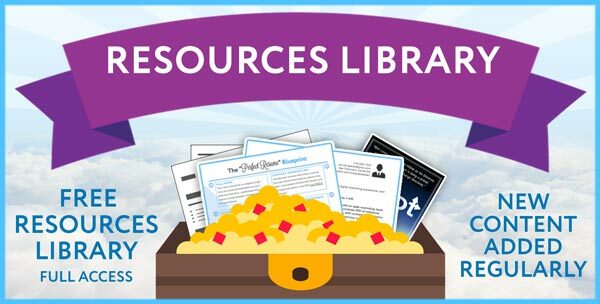 Adam S. Tons of useful info! Great, exceeded my expectations. Highly recommend!!! So much information I had no idea about. This is worth its weight in gold! Can't wait to put it into practice! Flip-the-System combines my very best Resume Writing and LinkedIn Profile optimization strategies, which helped me skyrocket from 100 profile views to over 430 in just a few months. And I’ve taught these strategies to many other students who've achieved similar results! But if for some reason Flip-the-System doesn’t work for you, then I’ll gladly give you a full refund within 30 days. 30 days? Yes! I want to give you time to try my strategies and start seeing results. I am more than confident that this course will work for you, just as it’s helped many other Flip-the-System students. So, stop working HARDER, and start working SMARTER. "Flip-the-System" and start getting Recruiters to pursue YOU! © 2019 Lance Wills - Growth Consultant. Author. Maker..
LOTS OF GREAT STUFF TO GIVE YOU A SHORTCUT TO ACHIEVING YOUR GOALS! 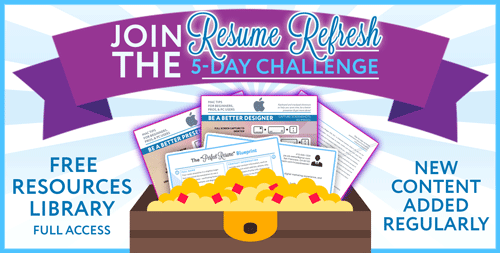 Join the “Resume Refresh 5-day Challenge” and get 5 daily ACTION ITEMS in your inbox to help you greatly improve your resume. Select your desired growth levers so we can provide a line-item Proposal. We’ll be in touch with you soon! And much, Much, MUCH MORE!